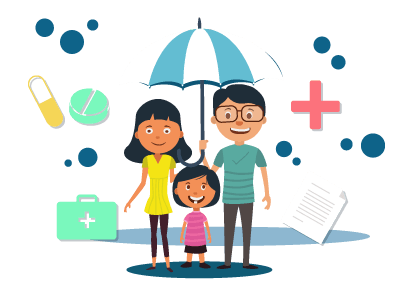 Term insurance policies in India have risen in prominence, with a major percentage of working class Indians purchasing term insurances to help their families be financially secure in their unexpected absence. Besides, term policies also help bereaved families pay off loans or liabilities in the absence of the policyholders. There are several companies in India that offer term insurance policies at varying premiums. Among the popular insurance providers, Future Generali is a popular company that offers individuals with term insurance policies. Term insurance policies offered by Future Generali are associated with low insurance premiums and high insurance covers, helping dependents of the individual to remain financially secure and protected in the event of unforeseen circumstances. Let us look at the features, benefits and policy details of the term insurance policies offered by Future Generali. This information will provide a comprehensive idea on what can be expected from these policies. Future Generali offers flexible term insurance plans, helping individuals to ensure their family’s financial security and protection. These policies are associated with low premiums and high covers, working much to the advantage of the individual purchasing the policy. These policies, besides offering individuals with a life cover, also offer income protection. Subscribers need to opt for an income protection plan while purchasing a term insurance policy from Future Generali. Term policies offered by Future Generali provide longer protection – up to a period until the individual turns 75 years old. Future Generali offers two term insurance plans to customers. Let us look at the benefits under each of these plans and observe what an individual can expect upon purchasing a particular term insurance policy. The Future Generali Flexi Online Term Insurance Policy comes with a host of benefits and features. The Future Generali Flexi Online Term Insurance Plan offers a basic life cover as well as income protection. The policy provides special rates on premiums for women. Customers can obtain discounted premiums in case they opt for a higher insured sum. The policy provides protection until the individual turns 75 years of age. This is higher than many policies offered by other insurance providers. The policy can be customised for subscribers and can be structured to suit the interests of individual subscribers. The sum assured in the event of death can be equivalent to 10 times the annual premium paid or 105% times the total premiums paid. Customers can apply for the policy in a convenient manner – the entire application process can be completed online. Customers are required to submit their supporting documents and meet the eligibility criteria in order to complete their application process. The entry age for purchasing the Future Generali Flexi Online Term Insurance Policy is 18 years – 55 years. Potential customers who wish to opt for the policy can purchase necessary riders to enhance their insurance cover. The policy offers basic life cover, fixed income protection and increasing income protection. As a term policy, the Flexi Online Term Policy does not provide policyholders with maturity benefits. Meaning, no sum will be payable after the insurance policy matures. The policy offers a high cover at relatively low insurance premiums. Customers can opt for riders to go along with their policy. Riders need to be purchased separately. The policy can be customised to suit the requirements of individual customers. The policy ensures that the policyholder’s dependents are financially protected in their absence. The Care Plus Policy offers non-smoker rebates, an aspect that puts non-smokers intending to purchase the policy at quite advantage. The policy offers flexibility in payment of premiums – customers can choose to opt for monthly premiums, half-yearly premiums or yearly premiums depending on their convenience. As a term insurance policy, the Care Plus plan isn’t associated with any maturity benefits. All term policies exclude instances of suicide – dependents aren’t eligible to receive the complete sum assured in the event of suicide. Only up to 80% of premiums paid will be received as death benefits. Policyholders must meet the eligibility criteria and submit all supporting documents in order to be eligible for the policy. The entry age for the policy is 18 years - 60 years. Future Generali Online Flexi Term Life Insurance Policy 18 years to 55 years Smoker - 65 years of age Non- smoker - 75 years of age Rs. 25,000 - Rs. 42,000 depending on the entry age. Future Generali Care Plus Policy 18 years to 60 years 65 years Minimum Premium - Rs. 2,500 per month. Customers are given the opportunity to extend the benefit of their cover to include various aspects. A rider is basically an add-on policy that goes along with the main policy and works to provide extended benefits. In the case of term life insurance policies, customers can opt for the accidental death insurance cover, a rider that provides an insurance cover in the event of accidental death of the policyholder. Why do you need a term insurance plan from Future Generali? Term Life insurance policies from Future Generali can be customised depending on your needs, and offer heightened flexibility in premium payments - premiums can be paid on a yearly basis, half-yearly basis or a monthly basis, depending on your convenience. Premiums in the case of term policies offered by Future Generali are low and offer high covers in relativity. If you are a woman, you might particularly want to opt for the Future Generali Online Flexi Term Life Insurance Plan as the plan offers discounted premiums for women. Also, the policy, besides offering a basic life cover, also offers fixed income and increasing income plans. Premiums for these plans are dependent on the entry age of the customer. Customers can opt for the personal accident cover - a rider that can be purchased along with the main insurance plan. The application process is easy and convenient and can be completed online. All eligibility criteria and supporting documents need to be submitted in order to successfully process the application. The policies offer cover for smokers as well, with non-smokers getting the benefit of an extended maturity period. These policies offer financial protection and enable your dependents to be financially secure in the light of unforeseen events.